If you have been charged with fraud or any number of white collar crimes, you want an attorney with the experience and the skills to handle a complex case in front of a state or federal judge. Attorney Perry Craft is that criminal defense lawyer. With more than three decades of experience and a background in prosecution from his time as Deputy State Attorney General and Assistant State Attorney General for Tennessee, Perry Craft knows what it takes to build a winning trial strategy, and can anticipate how the State or Federal government will build a case against you. When you need serious help facing serious criminal charges, the Law Office of Perry A. Craft, PLLC is by your side. Time is of the essence when it comes to building your defense against federal or state white collar criminal charges. At the Law Office of Perry A. Craft, you work directly with Attorney Craft himself and his team of legal professionals who help keep your case moving along smoothly. We take the time to review every piece of “evidence” against you and fight for your charges. 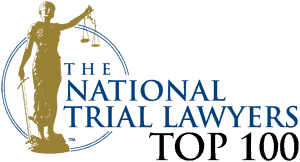 We explore your options – whether to negotiate a lesser charge or defend your rights in a courtroom – and move forward with the best possible choice. Whether we attempt to plea to a lesser charge or fight for your innocence in court, you can trust us to fight tenaciously and to protect your rights at every step. White collar charges are extremely serious; don’t leave anything to chance. Nashville criminal defense lawyer Perry A. Craft has the experience, the skills and the resources you want on your side when your future is on the line. Fighting a criminal charge is difficult; choosing the right lawyer need not be. At the Law Office of Perry A. Craft, PLLC, we defend clients facing complex white collar criminal charges in Nashville and elsewhere. For more information about our services, please call 615.239.1899 or fill out our convenient contact form to reserve a consultation time.